I know a hefty majority of couples in Hollywood don’t make it, but the Internet has declared that Channing Tatum and Jenna Dewan Tatum are #RelationshipGoals, and I wholeheartedly agree. If I was a betting woman, which I’m not because I’m broke, but if I was, I’d bet that this exemplary marriage lasts indefinitely. There’s just something incredibly loving, genuine, and fun about the gorgeous pair. For instance, they readily give us glimpses into their life together without making it a spectacle for the cameras. They just totally dig each other and it shows, guys. It really shows. If their Lip Sync Battle wasn’t enough to make you a full fledged Tatum marriage shipper, perhaps I can provide further evidence to convince you that these guys are it. Because, they are. They are the epitome of marital bliss. Not to mention that they combined their supreme genes and have a daughter together, who they both obviously adore. So, allow me to also mention that they are total #FamilyGoals, too. Ugh. They are certainly making it hard out here for everyone, famous or not, in a lesser relationship, that’s for sure. But, in the same token, they’re also giving people a lot of hope and higher relationship standards, too. 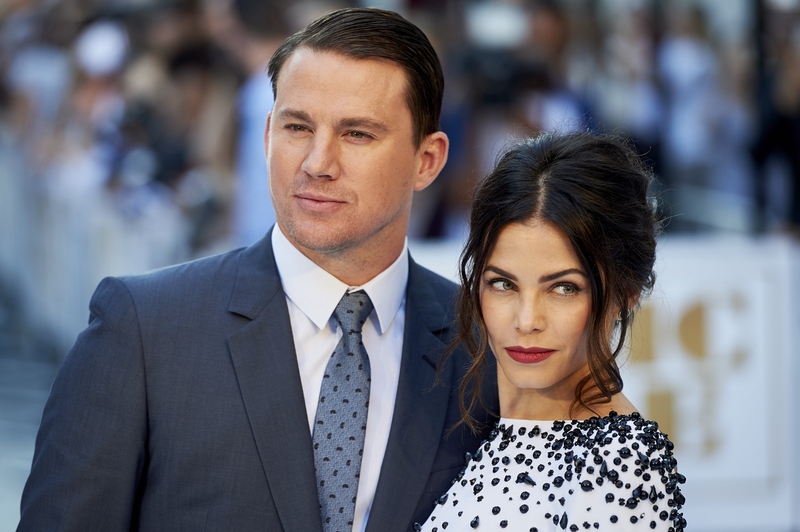 Here are 21 ways that Channing Tatum and Jenna Dewan Tatum are, in fact, #RelationshipGoals, as most of the Internet has declared them to be. Is this what marriage is? Laying around in a mermaid suit while your husband takes your pic? Because if so, I am IN. I am so IN. Support in a relationship is everything, people. This looks better than all my real prom photos, tbh. Beauty isn't everything, I know. But look at them! My heart hurts from the cute. If Matt Bomer ships it, you gotta ship it. If you have to lose to someone, you're probably glad it's them. Luckiest dogs on planet Earth. And judging by the hair situation, things have only gotten better. It's been almost three years since this picture was taken, but I still haven't recovered. No greater or more epic love story than that. Which is the best way to be. But, you know, healthy competition clearly keeps things interesting. So, when's the reality show happening? I need it, people!